Yesterday, in preparation for the Cohn Campus celebration of ISTP’s “30th Birthday”, I visited each classroom. I talked to the students about what will be happening that day, the games they can take part in, their expected behavior, and the theme of the birthday party (masquerade). Last month, we sent home an invitation to the birthday party, addressed directly to the students. Since the party is for them, and not for the adults, we thought it would be a wonderful way to get students excited about the festivities, and also provide them with a little bit of autonomy — give them something to be responsible for (bringing their mask/costume for that afternoon). I did notice that some students looked at me blankly and said, “No, I didn’t get it!”, or that they didn’t know it was for them. For sixteen years, I was a teacher. Once you’re a teacher, it’s hard to stop being one. The act of making a student responsible for something is definitely a teachable moment. This particular responsibility (bringing a costume) had no negative consequences (other than just not having a costume on during the party) and was a great way to give children a chance to be autonomous. Not only am I a teacher at heart, but I am also a parent. So, I do understand that as parents, sometimes we miss these teachable moments due to learned reactions — such as wanting to take care of everything for our kids. However, I think it’s extremely important to take a deep breath, step back, and let go. Give your children an opportunity to mature — to surprise you — by giving them responsibility and autonomy. 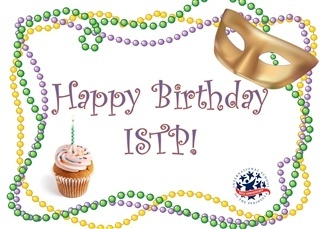 Hopefully, the next time ISTP sends home something addressed to your children, you’ll hand it to them and see the joy on their faces when they realize that someone wants them to participate in a school event. You won’t be disappointed.